Bulk SMS needs no introduction. We all know that SMS stands for Short Messaging Service. Basically it means sending text messages from phone/laptop to another phone and when we send SMS to group of people then it called as Bulk SMS. To send SMS people use Bulk SMS service. What exactly is bulk SMS? And what are the kinds of bulk SMS which are getting so popular that every business or industry is planning to implement bulk SMS advertising strategy? Let’s dig deep into these questions. Wikipedia defines bulk SMS as the dissemination of large number of SMS messages for delivery to mobile phone terminals. To put in simple words it means that bulk SMS is sending SMS to large number of recipients at once. Bulk SMS can be used to send reminders, alerts, update clients about new offers, deals, and discounts. These days it is widely used for promotion and advertising of products and services. There is no limit to the use of bulk SMS. Its uses are endless. Bulk SMS can be deployed wherever we need to build an instant connection and convey urgent information. Transactional Bulk SMS Service – These SMS are used for conveying certain urgent and necessary information. Example when message comes from a bank informing you about the amount credited or debited. Similarly when you make an online purchase, its details like invoice number, delivery status are being conveyed to you via an SMS. Dear Customer Rs. 500 was spent on Card no xxxx7899xxxx at Mumbai. Available balance in your account is Rs. 1000. Dear Customer Your Amazon order is out for delivery. Please share the OTP 122944 with the Delivery agent to get the package. Promotional Bulk SMS Service – The basic purpose of the promotional SMS is to advertise a business and market its products and services. As per TRAI regulations, promotional SMS can be sent only to non DND number within a time frame of 9 AM to 9 PM. Buy 2 kitchen appliances and get 1 at 50% discount. Hurry up. Offer valid till the stock lasts. Now you must be clear regarding the difference between the promotional and the transactional Bulk SMS. Let’s compare bulk SMS marketing with other prevailing forms of marketing. The average person receives 178 text messages in a month. And they receive approx. 1216 emails in a month. 22% of emails are read in a month. 91% of adults have their smartphone within arm’s reach. There are 6 billion active mobile phones in the world. 6 billion Email accounts are there in the world. 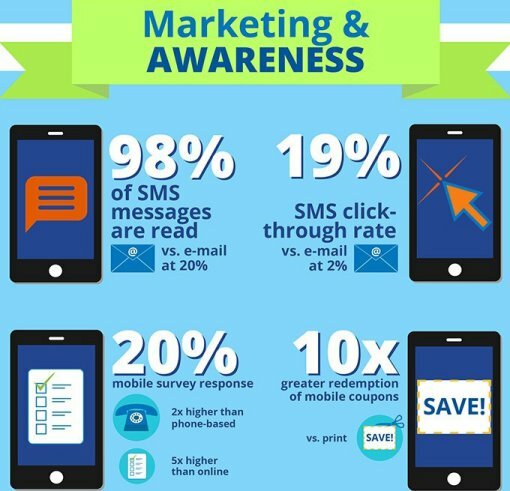 According to the findings, 19% of people click the URL in the SMS. According to the findings, 2% of people click the URL sent in the email. The picture is clear. SMS is a more powerful way to connect to the target audience and establish rapport with them. The open rate of an SMS is more than that of an email. As everybody of us might have noticed that as soon as a notification sounds comes in our mobile, we immediately grab our phone and check who has sent SMS and the details. This is why SMS has a high readability and is more likely to get opened. In case of an email we postpone reading it as it is usually very long. The positive points of an SMS are that it is to the point, conveys essential information in a clear cut manner and does not require an internet connection to view it. Traditional marketing is the promotion of products and services using newspaper advertisements, adds on radio and TV, flyers, newsletters, hoardings, pamphlets, brochures. Why is bulk SMS marketing more effective than traditional marketing? Bulk SMS marketing is a reasonable and affordable medium to promote your products and services. Whereas implementing traditional marketing can be a costly affair. In addition to the initial cost of advertisement in the newspaper, if you want to add something new you have to pay to them again. But in bulk SMS marketing the control is in your hands. You can edit, change, and modify your SMS as per your wish. There is no guarantee that customers will read your advertisement or not in the newspaper. But in case of bulk SMS the chances of reading the text increases to a great extent. As people are glued to their mobiles there are more chances for an SMS to be read rather than an advertisement in a newspaper. You can measure the effectiveness of your campaign as the results in bulk SMS marketing can be easily tracked. But this advantage is not there in the traditional marketing. 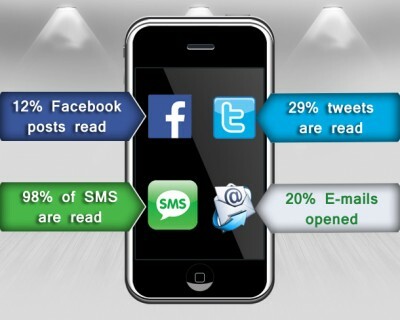 It is clear from the image above that people prefer SMS as compared to social media platforms like Twitter and Facebook. The wise decision would be to target where your customers are and reach at that place. 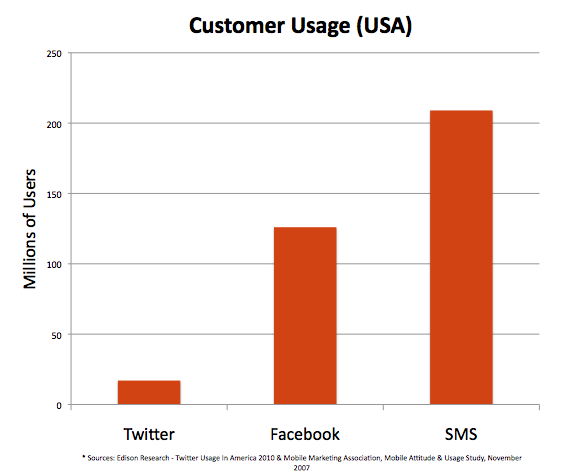 The main reason why SMS is a more popular medium than social media is because almost all mobiles are SMS enabled. It is easy to communicate with others via an SMS. 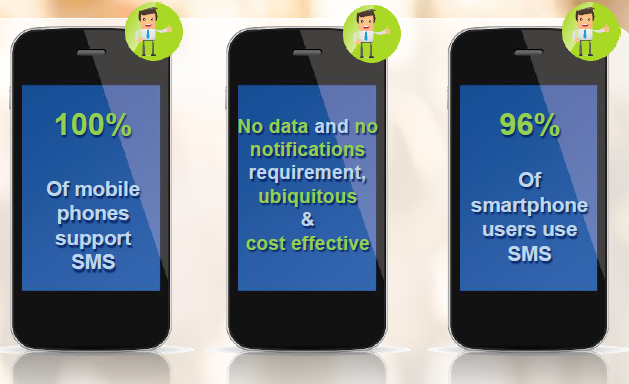 And the most important factor is that 99% of messages are opened and read within 5 minutes of delivery. SMS gives a personalized touch to our interaction with our clients and make them loyal towards our brand. Have you ever wondered why bulk SMS proves to be the best for marketing your products and services? Let us look into some forgotten and unbelievable facts regarding bulk SMS. If we go back 15-20 years before, mobile in itself was a luxury. People were fascinated with the idea of having a personal cell with them all the time. Have you ever wondered who invented SMS and what is the history of an SMS? It will be very interesting to know that. Let’s briefly discuss the history of SMS. It was in the year 1984 when German engineer Friedhelm Hillebrand and his French colleague Bernard Ghillebaert were working hard to develop a system that would permit the exchange of written messages via the existing telephone network. This system was based on the GSM (Global System for Mobile Communications) standards. The foundation of SMS messaging was laid by Hillebrand and Ghillebaert but it was the Finnish mobile communications engineer Matti Makkonen who is known today as the inventor of text message. Matti Makkonen was working for Nokia at that time and supported the company in developing the first SMS friendly handsets. The first SMS was sent over the Vodafone GSM network in the United Kingdom on 3rd December 1992. This message was sent by Neil Papworth of Sema Group(Mavenir Systems) using a personal computer to Richard Jarvis of Vodafone using an Orbitel 901 handset. The test written in that SMS was ‘Merry Christmas’. However in 1993 Nokia was the first to introduce SMS feature in its mobile phones. Initially in the year 1995 the growth was slow as customers were able to send an average of 0.4 messages per month. The reason of the slow start was because customers were only allowed to send messages to others who were of the same network. But this restriction was lifted in the year 1999 and by the end of 2000, the average number of SMS sent were 35 per user in a month. On Christmas Day 2006, almost 205 million messages were sent in the UK alone. In the year 2010 about 6.1 trillion SMS were sent worldwide. Even with the emergence of internet and apps like whatsapp, messenger, the importance of SMS cannot be overlooked. SMS is considered as the best form of communication when any crucial information has to be conveyed. People these days prefer text messaging rather calling for urgent and small talks. Infact texting is very popular among the youth of today. With so many advantages of SMS, you will be surprised to know that it is also been used for business promotion and marketing. Many Multinational Companies like Coca Cola, Amazon, Burger King are reaping the benefits of adopting bulk SMS into their marketing strategy. Big brands like Facebook, Subway and many more are harnessing the power of bulk SMS. According to a research conducted by business2community.com, 81% of mobile phone users prefer text messaging for communication. SMS warriors investigated that 90% of text messages are read within 3 minutes of delivery. 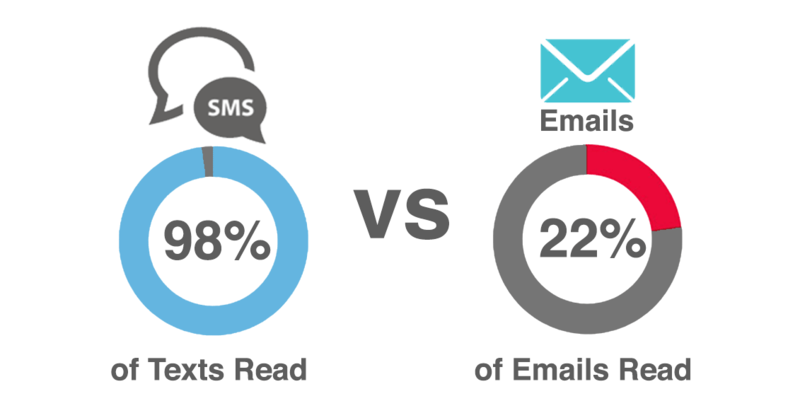 According to a study conducted by m-stat.gr, it is proven that 76% of mobile users like to read an SMS more than an email. 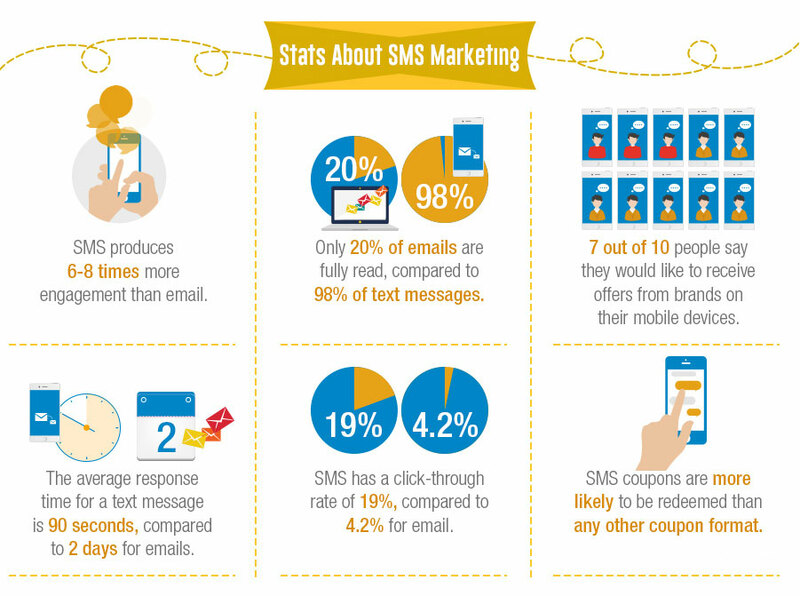 And 70% of them believe that SMS is eye-catching and the most convenient way to reach out to prospective customers. GoMoNews have surveyed and find out that brands which use bulk SMS for promotions are able to reach 95% of their customers. According to m-stat.gr, 64% of mobile users have made a purchase after receiving an SMS. The SMS have motivated them to take action to purchase. Out of the world's total 7,4 billion mobile connections, 3,6 billion are associated with basic not-smart phones meaning text messages still reach almost twice as many customers as any other mobile marketing medium. On average, 16% of all SMS exchanges in the world are with businesses. That figure does vary by region: the ratio is 22% in APAC, while in the US it is 12%, and EMEA registers at 15% - one in seven messages. 82,1% of respondents say they open every SMS text message they receive. 97% of Americans in the 18-29 age bracket use their cell phones for SMS messaging. 64% of consumers believe that businesses should use SMS messages to interact with customers more often than they currently do. 91% of users who opted-in to receive texts from a brand see those messages as somewhat or very useful. Isn't it interesting to know that SMS plays such an important role in communication. After we have discussed some amazing facts about bulk SMS, now we will discuss the benefits of bulk SMS marketing and why should we go for it? SMS is the most personalized way to deliver information. There is no other channel as fast and efficient as an SMS. The results of bulk SMS marketing are easily trackable. You can measure whether your SMS campaign is effective or not and take suitable measures to achieve the desired results. 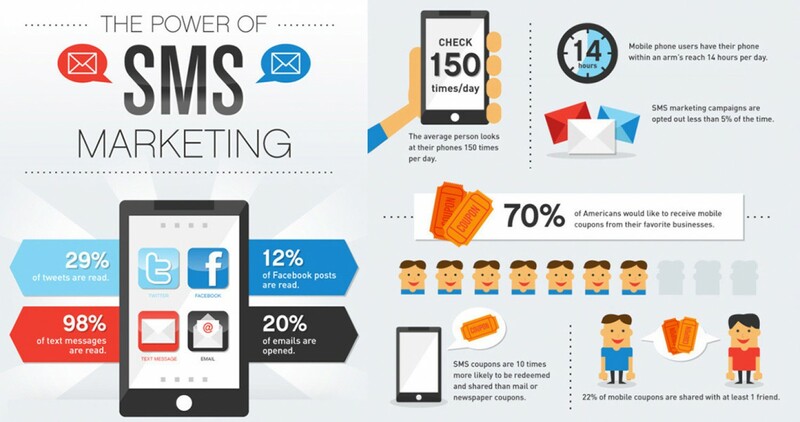 SMS has a high open rate than any other marketing tool. You can see for yourself. How many of your SMS are unread? Chances are that 1 or 2 but in case of an email there are a long list of pending mails which you generally postpone to read later. SMS has a direct reach to the inbox of receiver's mobile. It doesn't go to other filters like spam. SMS marketing is a highly affordable medium of communicating vital information. The other forms of advertising like commercial, newspaper advertisement incur huge expenses. SMS conveys information in a short, concise and clear cut manner which is preferred by customers. Internet connection is not required to receive an SMS. This makes the reach of SMS wide and accessible. As the demand for bulk SMS is rising, so is the number of bulk SMS service providers. Although there are good number of bulk SMS service providers, the selection of the best one can be quite confusing sometimes. The criteria for selection should not only be based on low cost but other factors like quality of service, real time delivery reports, delivery speed,etc should also be considered. Here we will be discussing some of the parameters to be taken care of while choosing a 2018 best bulk SMS service provider. First and foremost is to know the actual cost of sending SMS. Some companies provide per SMS costs, others have certain plans for different packages. Ensure that there are no hidden charges and transparency is maintained. Next is to choose such kind of company in which you can rely on. Before investing test the service and send some free bulk SMS online to make sure of the quality. After that check whether their interface is user-friendly or difficult to operate with. Go for that company which provides an easy interface to send SMS online. The less complicated it will be, the more its usability will increase. Moreover it should have interesting features and functionalities. Lastly, it should be able to give us the exact, detailed information of how many SMS are delivered, fapailed, DND, pending, blocked or sent. Generally all bulk SMS providers just provide us only the information that SMS has been sent. It does not give the details like whether the SMS is pending, failed, delivered, DND or blocked. Hence go for such type of bulk SMS provider which gives authentic delivery reports of an SMS. Once we select a suitable bulk SMS service provider, our next step is to engage our customers with the right kind of marketing. Engaging customers is very important if we want to build long term relations with them and make them loyal towards our brand. In today's world, full of cut throat competition where every company is trying hard to make a place in customer's heart, retaining them is a big challenge. But don't worry if you use bulk SMS marketing with proper planning, you can achieve phenomenal results in the productivity of your business. Let's check how to engage customers with bulk SMS. How to engage customers with SMS? 1. Send SMS at the appropriate time - While you are sending SMS, pay attention to the time it is sent. Instead of bombarding your customers with SMS, send them at the right time when they are likely to read it. Suppose you want to promote your newly launched restaurant. Prefer to send SMS at the evening time particularly at weekends. If you send the SMS at early morning chances are that your client will not even read the SMS as everyone is busy with the day's work. So take care of the time at which a message is sent. 2. Send discount coupons, offers in the SMS - As SMS grabs the attention of the user instantly, it is the most preferred choice for sending promotional offers, discount coupons, etc. Example you can send discount coupons to your regular customers just before a festive occasion like Diwali, Holi, New year. Chances are that they will visit and might purchase more due to festive offers. This will increase customer loyalty towards your brand. 3. Send them wishes - Keep a data of your customer's birthdays and anniversaries. And send them birthday wishes. It will be a good idea to send them wishes on occasions like New Year, Diwali, etc. All these kinds of SMS will make the connection with your customers strong and unbreakable. It will also add value to your brand. 4. Provide them with useful tips - You can even send them tips and tricks in the form of an URL attached with the SMS. Suppose you have a gym so you can send something like 'best workouts for fat loss'. With Fast2SMS bulk sms service you can send bulk sms online from anywhere. Our Bulk SMS service is for all major city and state like Delhi, delhi ncr, gurgaon, mumbai, bangalore, ahmedabad, aurangabad, amritsar, bhopal, bhubaneswar, baroda, bilaspur, chennai, chandigarh, durgapur, dehradun, guwahati, gujarat, gwalior, haryana, kolkata, indore, hyderabad, vizag, jaipur, jalandhar, jabalpur, kerala, kanpur, lucknow, ludhiana, mysore and nashik. How to create an effective SMS? The success of bulk SMS campaign will depend on how effective your SMS is. An SMS should be structured in such a way that it motivates the customer to read it and take prompt action to buy the product or service. Let's look into some points to consider before writing an SMS and how to make it more appealing? 1. Make sure that your SMS is not too long - Keeping your SMS to the point, clear and concise will lead to high readability and increase customer involvement to a great extent. So try to keep the character limit of 160 characters. 2. Include call to action - Call to action can be a text, phone number, address or URL which describes what the client has to do after reading the SMS. Without proper call to action the purpose of an SMS is dissolved. Suppose you are offering 50% discount on your online store. So after writing your main message, include the URL link of your website where the discount is applicable. Also a contact number should be there at the end of the SMS, if anyone wants to inquire more its easy for them to connect. 3. Make your message interesting to read - Long, dull, boring messages will take your reader away from you. Try to make the SMS interesting by offering value to your existing and potential customers. There is no limit to the creativity you can imply in your SMS. Why Bulk SMS marketing is the best marketing tool? Now after knowing all the benefits and facts regarding bulk SMS, let's discuss why SMS marketing is the best marketing tool in comparison to all others. Bulk SMS is the most affordable medium to reach out to our prospective clients. It doesn't matter where our customers are. SMS reaches within a fraction of seconds making it the fastest way to promote and advertise a product or service. You can send thousands of SMS at at a single click, thus making it the most lucrative option to advertise your business. 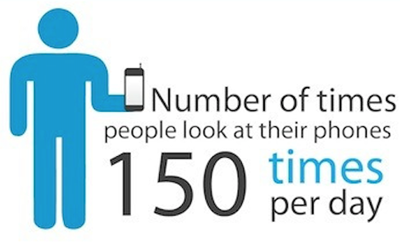 As mobile is carried by everyone at all times, this makes it an excellent tool to connect with the customers instantly. There is no guarantee in other forms of advertising that they will reach the target customer or not. Examples are newspaper advertisements, commercials, hoardings, brochures, pamphlets, etc. Business owners invest a lot of money on these methods of advertising. But these methods hardly bear any fruit. We don't have any mechanism to check how many people have read the brochures, pamphlets or have gone through the newspaper advertisement. Also the cost incurred in these types of advertising is huge yet there is no surety. Whereas in SMS marketing, you can easily track whether your SMS is delivered and read or not. Since every company invests money on marketing, the goal should be to reach customers in the fastest and hassle free way. This is possible by implementing bulk SMS in your marketing plan. The beauty of bulk SMS marketing is it is the most fastest, accessible and convenient tool for advertising. There is no other method or tool as affordable and as effective as bulk SMS marketing. Do try to implement it once and discover the benefits yourself. Bulk SMS is growing tremendously in every field. It is not just used by business owners to promote their products or services but it is being immensely used in educational institutions, hotels, hospitals, corporate houses and many other organizations. The demand for bulk SMS is continuously rising. Every institution or organization prefer to incorporate bulk SMS in their marketing campaign. The reason is quite obvious. SMS proves to be the most cost effective and time saving tool than any other promotional tool. The importance of implementing bulk SMS practices are being realized by big organizations also. ► Bulk SMS for Educational Institutions - Do you need a system that instantly conveys the required information to parents, teachers and students? Are you looking for some cost effective way to deliver information at the right time? Then you are at the right place. Bulk SMS works as a boon for educational institutions, colleges, universities and schools. It can help with better administration of your institution. Bulk SMS for schools can be used for informing about exam dates, time table, parents meeting, etc. You can even send attendance notification and inform parents about their child's behavior. These regular updates from the school management will foster better communication and increase involvement in the child's development. ► Bulk SMS for Hotels and Resorts Industry - Hotel Industry is adopting bulk SMS for serving the clients in a better way. It is extensively being used by all kinds of hotels to interact with their clients in a cost effective way. SMS marketing serves as an awesome tool for taking care of visitors from the time of check in to check out. SMS marketing works wonders in customer service and helps in the smooth functioning of the business. Bulk SMS is used for updating the clients about room availability, room booking, special festive discounts, famous dish of the day, etc. It can also be used for sending confirmation details, reminding about arrival time, seat booking and so on. Bulk SMS marketing is very beneficial for hotel business as it covers wide range of audience and reaches the target customer in the quickest way possible. ► Bulk SMS for Real Estate Industry - Buying, selling, leasing, renting of property has become a lot easier than before. Earlier it was very difficult to promote and update customers about new projects launched, property listing, special plans and offers. But with the invent of bulk SMS marketing for real estate, it has become easy to stay in touch with our customers and connect to prospective clients. SMS can be used for informing interested clients about new projects, registration details, renting space availability and many more things. Customers can be relieved from the stress of buying and selling properties as with SMS, information is made available at their finger tips. ► Bulk SMS for Banking Industry - Bulk SMS is extensively used in the banking sector for conveying transaction related information that when amount was debited or credited, account balance inquiries, etc. It allows banks to deliver information to customers and connect with them instantly. This way it keeps a check on all the fraudulent activities and makes your trading safe. ► Bulk SMS for E-commerce Industry - Just at the click of a button, information is transferred to the prospective clients on their mobile phones. This is the beauty of bulk SMS marketing. E-commerce companies are preferring to use bulk SMS to deliver valuable information and order updates to their clients. SMS is sent related to product details, invoice details, payment confirmation, special offers, delivery status of their order and many more. Bulk SMS has become a priority for e-commerce industry and help them to manage their clients in a far better way. ► Bulk SMS for Event Management Industry - Gone are the days where an event was promoted using billboards, print adds, radio adds, etc. When the technology is revolving around mobiles, SMS Marketing plays a vital role in building a connection with customers. You can send instant updates regarding the event to your customer. Tickets for the event can also be sent via an SMS. Bulk SMS is the most affordable medium for promoting an event. No need to waste money on calls, or send emails to your list of invitees. Simply by sending an SMS you can remind your guests regarding the time, date and venue of the event. ► Bulk SMS for Aviation Industry - Airline Industry is witnessing a huge growth from the past few years. In order to update customers about flight timings, schedule, bulk SMS proves to be the best way to communicate with them. Airlines these days are making use of this cost effective tool for sending flight reminders, offers, discounts, etc. As there is no need to have an internet connection to receive a message it becomes the most user-friendly and efficient tool to reach out to our clients. ► Bulk SMS for Advertisement Industry - Every business has to invest money on advertising their products and services in order to thrive in this competitive environment. To connect with the customer at a deeper level and to make them loyal towards our brand, bulk SMS is the most viable option to establish a bond with our clients. As everyone is glued to their mobile phones at all times, SMS is the best medium to reach out to them. Advertisement industry is making good use of this excellent tool for marketing their products and services. ► Bulk SMS for Developers - Bulk SMS can prove to be an excellent instrument for developers. They can promote their websites or apps via this medium. It is the most budget-friendly way to interact with the target clients and create a presence of your brand. Bulk SMS is a quite popular among developers and they are using it extensively to reach potential clients. Why Fast2SMS Bulk SMS Service? Fast2SMS is a popular and leading bulk SMS service provider in India. With over 2 million satisfied customers, the goal of Fast2SMS is to provide a simple platform for instant SMS delivery in an affordable way. The main focus is to give accurate, real time delivery reports and perfect transparency is maintained at all costs. 1. Quick Transactional SMS - Fast2SMS offers a special route for sending bulk SMS apart from Promotional and Transactional route. It is called as Quick Transactional Route. In this route document verification and approval is not required. You only need to get the SMS template approved by us and once approved you can start sending SMS. Click here to read about it. 2. QR Code - With the help of QR Code, adding contacts become easier. You just have to share the QR link with your contacts and when they enter their name, mobile number, all the details will be made available to you. Click here to read more about it. 3. API SMS - Using API SMS automatic messages can be send to a large group of people at once. API SMS is used by a lot of e-commerce portals these days as it is the most secured way to reach our customers. Click here to read more about API. API SMS can also be used to deliver bulk OTP SMS. 4. Multimedia SMS - Files such as jpg, mp3, csv, pdf, zip, etc can be easily shared via an SMS. In this way you can send a detailed attachment of a file with your SMS. To read more about how multimedia SMS works, click here. 5. Custom SMS - This feature is provided so that you can send unique variable SMS to your users. Just the variable value for each user changes and the overall message remains the same. It is very helpful if you just want to change the name on the SMS and keep the remaining message same. Click here to read more about Custom SMS. 6. Schedule SMS - You can even schedule your SMS to be sent at a later date. Click here to read more about it. There are numerous features and functionalities in Fast2SMS. Do visit Fast2SMS for getting exciting deals and offers. How Invite and Earn works? Now let's look into some of the mistakes people make while incorporating bulk SMS marketing. With Fast2SMS you can test best bulk SMS service with free cost. Use coupon code "FREE20" and you will get INR 20 credit for testing and sending free bulk sms online in India. To redeem that coupon visit "add money" page in Fast2SMS and then add that coupon code. 1. Not including bulk SMS in promotional campaigns - The number 1 mistake business owners make is that they don't include bulk SMS marketing in their advertising campaigns. Specially newly started business owners fail to realize the importance of this excellent marketing tool. Traditional Marketing costs a huge amount of money and with bulk SMS you can save your money to a great extent as it is a very affordable medium of publicity. So irrespective of the business size, bulk SMS should be included by each and every kind of business. 2. Sending long, irrelevant messages - The main problem which business owners face is that they don't know when to send SMS and what to include in the content. The content should not be too long otherwise it will not be read. Our focus should be on the quality and not quantity. So make sure to deliver meaningful and precise content. 3. Not including Call to Action - Call to Action is a very important part in bulk SMS. If your SMS does not have a proper call to action the its main purpose is defeated. Call to action can be a link, phone number, discount, offer, etc. Some examples are Visit us at, Buy 2 Get 1 free, 25% discount on first 10 callers, etc. 4. Not choosing the right SMS Service provider - Sometimes people fail to realize the importance of selecting the right SMS service provider. They go for the service provider which offer them the lowest cost. But decision should not be based on the cost only but other parameters should also be considered. The main focus should be on quality of service, real time delivery reports, transparency of the service. Hence before choosing the SMS gateway, all factors must betaken care of. 5. Sending SMS at inappropriate timings - The main factor to be considered while sending SMS is the timing of the SMS. Sending SMS at odd hours will make your clients annoyed and it is very likely that they might unsubscribe from your SMS list. So try to send SMS when it is convenient for the customer to read it. After listing the mistakes let's discuss some tips and tricks to make your SMS marketing powerful and increase customer database. 1. Keep your message clear and concise - Keep the message short, clear and to the point. Your SMS should not appear like an email which is very lengthy to read and therefore has less open rates. Try to convey all the information within the character limit of 160. Make your message appealing so that the customer is interested in reading it further. 2. Respect the opt-out decision of customer - If the customer has opted out from your SMS, then respect their decision and don't bombard them with messages. It will be beneficial for your brand to always include the option of opt-in and opt-out so that there is no invasion of privacy of customers. 3. Segment your audience - It is very vital for you to segment your audience and categorize them into different groups. You can group them on the basis of demographic location, gender, purchase history, likings, preferences, etc. If you group them then its easy to send them valuable and relevant content. 4. Make your SMS interesting to read - Create a sense of urgency by using words in your SMS such as 'Offer Valid till today', 'Hurry up stock is limited', 'Validity expires soon', etc. These type of phrases motivates customers to take immediate action. 5. Don't forget to track your SMS campaign - Without tracking the effectiveness of your SMS campaign, the efforts will go in vain. It is very important to keep a continuous check and measure your results from time to time. There are endless opportunities in the field of bulk SMS marketing. SMS has successfully completed nearly 25 years from the time of its start and is predicted that it will continue to rise in the near future. According to a survey mobile phone users across the globe is continuously increasing with each day. So if utilized properly one can make good use of the phenomenal options available in bulk SMS. A2P SMS will increase - Traditional methods to communicate like emails and calls will become outdated and businesses will prefer texting for sharing information. Industries will adopt innovative way to use SMS marketing - As being anticipated, SMS marketing will continue to rise in the near future and every business or industry will incorporate it. Already SMS marketing is being implemented by big organizations like UNICEF and many others. UNICEF has become no 1 charitable organization to use Bulk SMS for accepting donations. 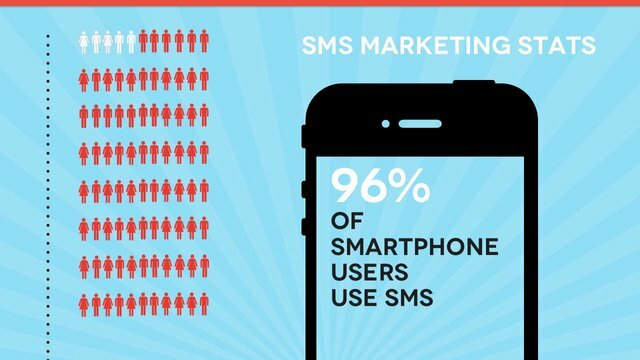 As mobile revolution has taken place in both the urban and rural areas, it is likely that SMS marketing will continue to rise and prosper in the near future. You can send bulk SMS online via website Fast2SMS. There are no hidden charges to use this service. Our dealings are absolutely fair and transparent. Bulk SMS price is completely affordable and is calculated on per SMS cost. You don't need to buy a fixed amount of bulk SMS. You can start sending bulk SMS just by adding Rs. 10 in your wallet balance, there is no minimum SMS purchase limit if you use Fast2SMS.